Baby jesus. baby jesus. 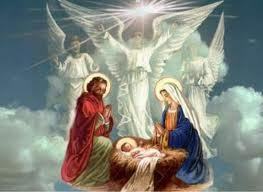 Wallpaper and background images in the jesus club tagged: baby jesus angels image love photo. awww! Thank The Lord for all His miracles! celebrity jesus birth this christmas time !! not really born on dec. 25. i think he born in april or summer somewhere !!! @ mikethecat ^ I've heard of that before ! And I heard that the new counting of years started 4 years after his birth !